Sing, Laugh and Play with Reuben & Mark as they explore music using rhymes, sing a long songs, instruments, puppets and lots more. 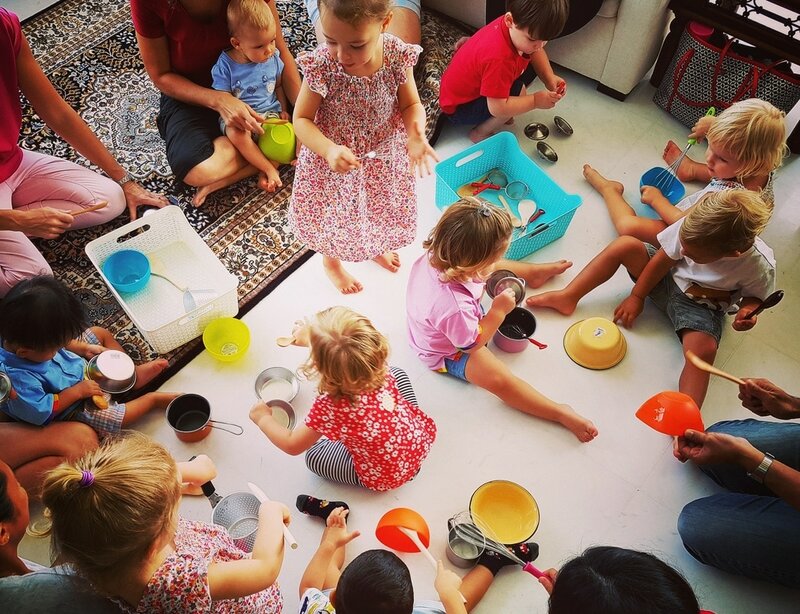 Children aged 1 to 3 years old, accompanied by an adult, will get to participate and experience different learning concepts through music and play done in the comfort of a home! Since 2007, Reuben and Mark have been running Boogie Bug Music sessions in homes all across the island. 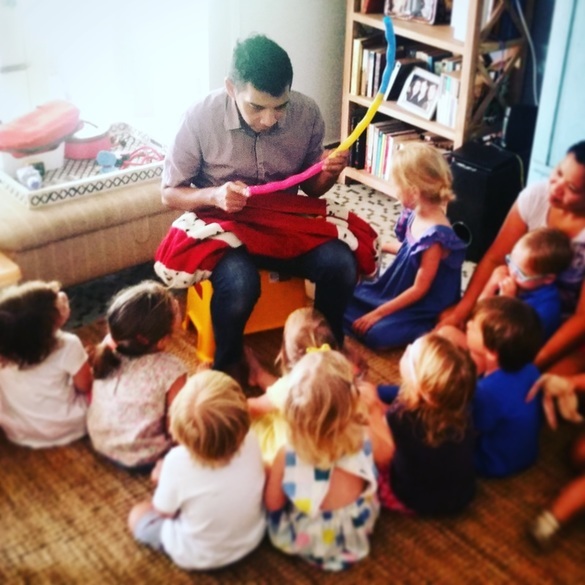 With their fun and playful style, coupled with an amazing ability to connect and engage young children, they will sing and dance their way into your hearts. Please contact us if you would like to join a group, or host a group of your own.